Anne Appleby explores the beauty and majesty of central Montana in We Sit Together the Mountain and Me. By keeping an intense focus on the landscape, Appleby explores the terrain around her studio from sweeping mountainsides to the exquisite specificity of individual trees. With We Sit Together the Mountain and Me, the artist shares her careful observations with both brilliant flashes of perception and longer, deeper examinations of the human place within the natural world. Inspired by the Elkhorn Mountains surrounding her studio, Appleby activates a series of dualities with Ghost Trees and Mountain Paintings. With her gouache series Ghost Trees based on earlier experiences in the Southwestern desert, Appleby sets up delicate shifts in tone that evoke the stillness of winter through the bare thickets. Her subtly shifting color palette alludes to the complex theories that have animated discussion of abstract painting for decades. For Mountain Paintings Appleby translates the clusters of groves into complex compositions of subtle colors through the seasons. The tonal shifts in these paintings also highlight Appleby’s focus on negative space, accentuating the interplay between groves and meadows and allowing consideration of the dualities of absence and presence or shadows and solidity. Appleby draws attention to the specific tree species of the Elkhorn range using her critically-celebrated multi-panel sets. In these works, the artist layers colors for luminous effect to evoke details from each tree. By focusing on the individual species so intently, Appleby seeks to remind us that the groves are composed of an accumulation of species that combine into an interdependent ecosystem. The exhibition features her first video, Moving Trees, through which Appleby captures the tension between the magnificent stillness of winter and the overwhelming power of nature. 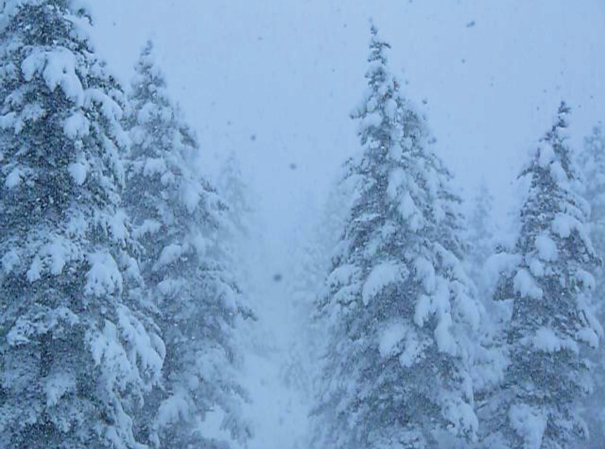 For the artist, the gently falling snow and the slow movement of the trees represent beauty that may be found in the inevitability of change. We Sit Together the Mountain and Me is Appleby’s first major exhibition at Tacoma Art Museum. This exhibition was organized by Tacoma Art Museum and made possible through the generous support of the Haub Family Endowment. Above: Anne Appleby, Moving Trees (detail), 2013. Single-channel digital projection, 3 minutes, 24 seconds. Courtesy of the artist and Anglim Gilbert Gallery, San Francisco. Right: Anne Appleby, Ponderosa Pine (detail), 2017. 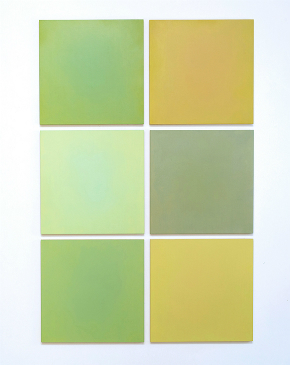 Oil and wax on panel, 6 panels, 56 × 37 inches, overall. Courtesy of the artist.